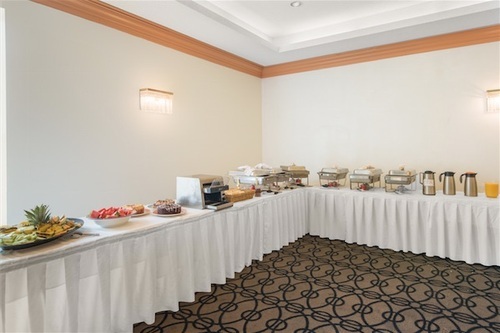 Plan Niagara Falls events meetings or small conferences at the Ramada Plaza Niagara Falls Hotel. We have meeting and boardroom space to accommodate up to 300 attendees, banquet and ballrooms in our central Niagara Falls location. Our facilities are on site, just steps from our modern, comfortable Niagara Falls hotel rooms. Escorted tour groups, sports teams and other leisure travel guests will find our Niagara Falls accommodations, location and facilities beat expectations. Whether you require meeting space, board room, ballroom, hospitality room, or just bedrooms, we are here to help you. Discover today why the Ramada Plaza Niagara Falls Hotel is top among Niagara Falls venues for meetings, receptions and events!